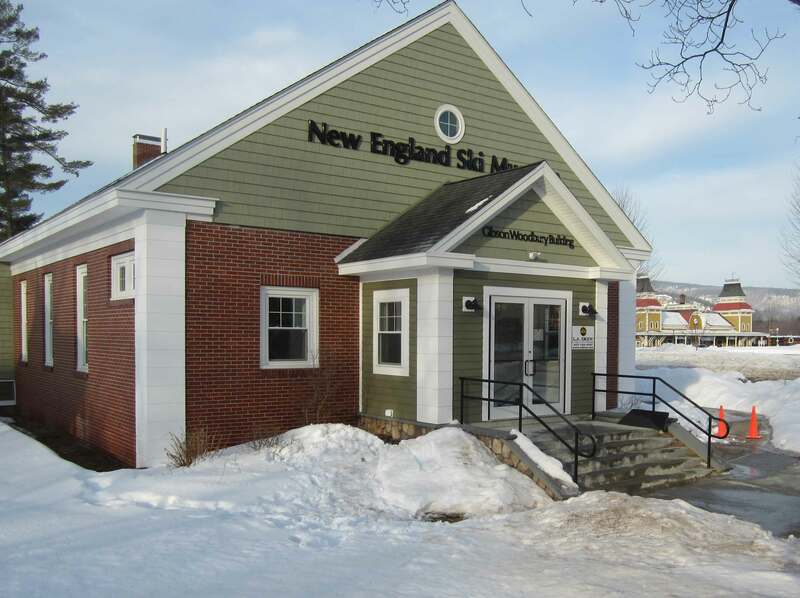 The New England Ski Museum is excited to announce that on Saturday February 24, 2018 the Museum’s new Eastern Slope Branch will open its doors to the public. There will be a ribbon cutting ceremony beginning at 3 PM on the 24th featuring notables who played a significant role in bringing the project to a successful conclusion, followed by an open house until 5 PM. The new facility is located next to Schouler Park in North Conway, at 2628 White Mountain Highway. The concept of a Museum expansion to North Conway began to form in 2015 as the North Conway Community Center, originally funded by Cranmore founder Harvey Dow Gibson, moved into their new, larger facility just south of the original location. The Museum’s occupancy of the former Community Center building was made possible when the Gibson Woodbury Charitable Foundation proposed that a ski museum would be the most appropriate new use of the building. The February 24 opening will be the culmination of about five years of feasibility study, location scouting, fundraising and renovation on the part of the Museum’s board of directors and the generous donors to the capital campaign. Renovations to the 1950s era building were carried out by Intervale contractor L.A. Drew, Inc. and their local subcontractors. Exhibit planning and installation has been performed by HER Designs of Marblehead, Massachusetts collaborating with 42 Design Fab of Indian Orchard, Massachusetts and Trivium Interactive of Boston. The exhibits in the Robert J. A. Irwin, III Exhibition Hall include large relief maps of the New England states with essential points of ski history noted; exhibit cases displaying objects and stories from iconic New England ski figures such as Hannes Schneider, Toni Matt, Tyler Palmer, Bill Koch and Tom Corcoran; an interactive monitor showing the rise and fall of the ‘lost’ ski areas of the region; a full width photomural of Tuckerman Ravine, and much more. 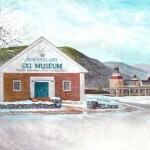 The Museum’s original location in Franconia Notch State Park next to the Cannon Mountain Aerial Tramway will remain open as the North Conway facility expands the reach of the Museum to the other significant early ski town in the state. North Conway was an incubator for the dramatic growth of skiing in America beginning in the 1930s, and was named last year as America’s best ski town in a USA Today poll. Both New England Ski Museum locations are open from 10 AM to 5 PM seven days a week, and admission is free to both. The board of directors of the New England Ski Museum cordially invite all to join in the official ribbon cutting on February 24 at 3 PM, or to make plans to visit soon. For more information call the Museum’s Franconia office at 800-639-4181.